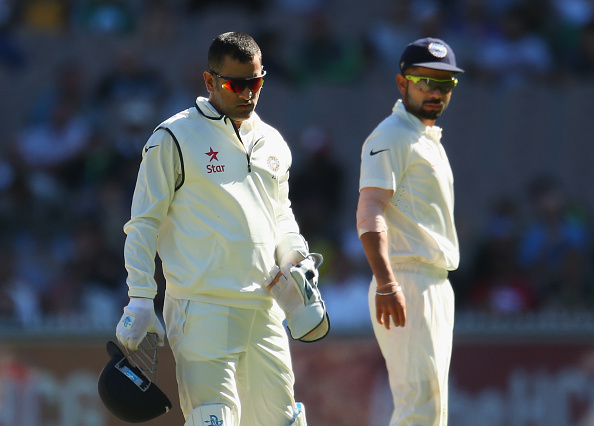 There has been a lot of criticism of India’s Test performances overseas. India last won an away Test series against a major Test nation (not counting Bangladesh, Zimbabwe and West Indies) way back in April 2009 when they beat New Zealand. Since then, India has lost as many as 17 matches and won only 3 away from home against these top teams. Embarrassing, it might seem, but India is not the only team that has faced this kind of humiliation. We shall look at all Test matches since July 2007. The logic behind choosing July 2007 is threefold. a) Shane Warne and Glen McGrath retired in January 2007. b) Justin Langer also retired, meaning his prolific opening partnership with Hayden ceased to exist. c) The indomitable Ricky Ponting became somewhat mortal by this time. In short, Australia lost their air of invincibility and Test cricket became a lot more even affair. All matches played by Pakistan in UAE will be considered to be home matches for Pakistan and away matches for their opponent. All neutral matches – such as the series between Australia and Pakistan in England in 2010 – will be ignored. All matches against Bangladesh, Zimbabwe and West Indies will be neglected. Clearly, apart from South Africa – who have been the best Test team for a while – no team has been comfortable playing away from home. The other team who can claim to have performed decently is England while Australia are the third team to have a better win-loss ratio than India. If we drill down even further and look at the performances of all these teams in different countries, we can see most of Australia, England and South Africa’s wins have come against one another. Thus, there is a need to probe further. This can be done by checking how the teams fared in unfriendly conditions. For that, we should see the performance of subcontinent teams (India, Pakistan and Sri Lanka) outside Asia and the performance of non-subcontinent teams (Australia, England, New Zealand and South Africa) in Asia. These are highlighted in italics in the table. Among the Asian teams (sometimes mocked as “flat track bullies”), India have won 5 matches in tougher seaming or bouncy pitches outside Asia, winning at least one in every country. Pakistan have won 3 (not surprisingly in England and New Zealand, where pitches aid swing bowling) and Sri Lanka 2. Among the non-Asian teams, South Africa has been head and shoulders above the rest. The Proteas have won two matches each in India and Pakistan (or UAE) and one in Sri Lanka, where they have only played 2 matches in these seven and a half years. England have won 3 matches and New Zealand 2 while the Australians have managed to win only one match in all these years in Asia. Thus, after looking at these stats one can clearly conclude that India’s performances have not been as abysmal as it has been portrayed. In fact, India have been the most confident travelers after South Africa, the team that hasn’t lost an away series since 2006.